Cotterman Company was established in 1925 as I.D. Cotterman Company, headquartered in Chicago, Illinois. The core product was rolling wood track ladders. In the mid 1940’s, I.D. Cotterman introduced the rolling steel warehouse ladder, a form of rolling staircase designed to access nearly anything out of reach in industrial or commercial environments. Gradually rolling ladders became the core product line and Cotterman became the brand the industry associated with quality rolling ladders. The company grew tremendously, exceeding the expectations and capabilities of the founding family. The Cotterman family sold I.D. Cotterman Company in 1979 to Material Control, Inc., a manufacturer of heavy-duty electronic control equipment for the mining and bulk material handling industry. 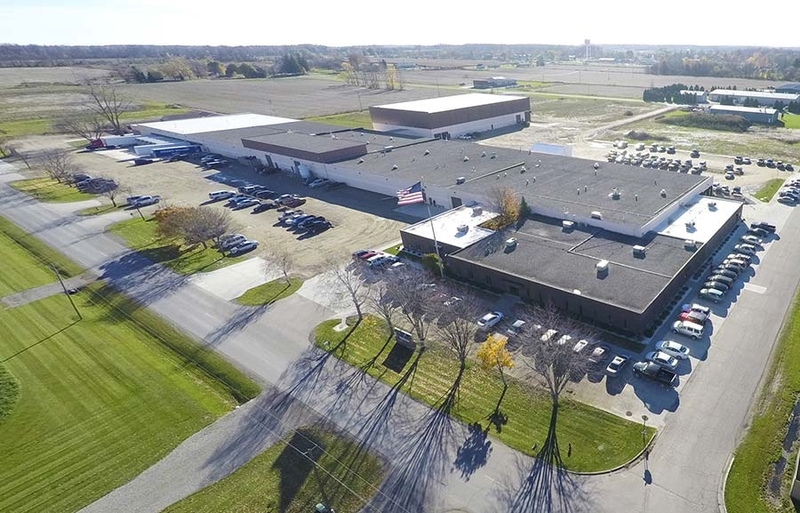 It was moved to Croswell, Michigan where Material Control’s manufacturing facilities are located. Cotterman Company’s strategy took an innovative change under the new management, headed by President Clint Stimpson. Getting closer to the customer, they theorized, would reduce costs in freight and lower the probability of freight damage. A formal plan was put into place and in 1988 a manufacturing plant was opened in Bakersfield, California. The new location produced enormous growth and in 1989 a plant was added in Atlanta, Georgia. In 2003, another manufacturing facility was added in Arlington, Texas. Through multiple manufacturing locations Cotterman is capable of delivering ladders at a lower cost to its customers while continuing to set the industry standard for quality and service. Through quality construction, innovative product development and branch plants, Cotterman maintains market leadership in sales to the industrial, commercial, national store, and MRO markets, and solidifies its brand identification as the best manufacturer of rolling metal ladders.